We went to the TEFAF (The European Fine Art Fair) this weekend gone and I saw some amazing art. Naturally, the one big Rembrandt portrait was amazing and a big crowd pleaser. 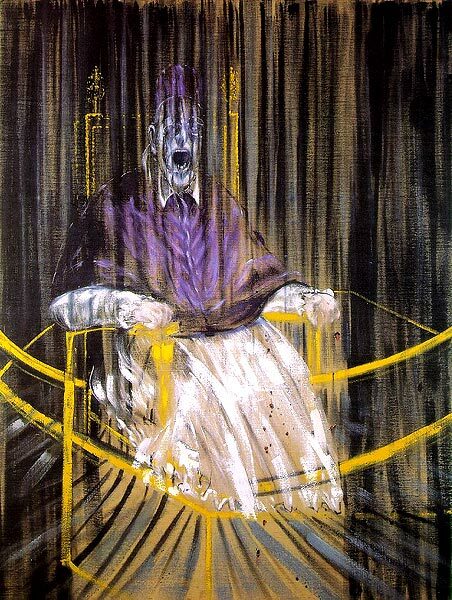 I also got to see Francis Bacon, Lucian Freud, Käthe Kollwitz, Munch, loads of Miro, Picasso’s and Renoir’s. Then there’s the endless amount of diamonds, asian art, furniture, Russian religious icons, snuff bottles, Karel Appel, Lucebert and more, more, more. I probably only got to see 30% of what was on display. Dazzling. I was very pleased to see quite a lot of photography yet a little bit bummed that some galleries had the big names but not very interesting work of said big names. Like this portrait of Clinton by Annie Leibovitz that probably worked really well along side an interview in a magazine, but seeing it on a wall was a bore. Anyway, I also got to see an awesome portrait of Chuck Close and color photographs by Ansell Adams (not a fan, sacrilege according to most, I’m sure ) And then I moved upstairs and yay, Dennis Hopper, Steichen, Man Ray and Robert Frank. And man, I love those! 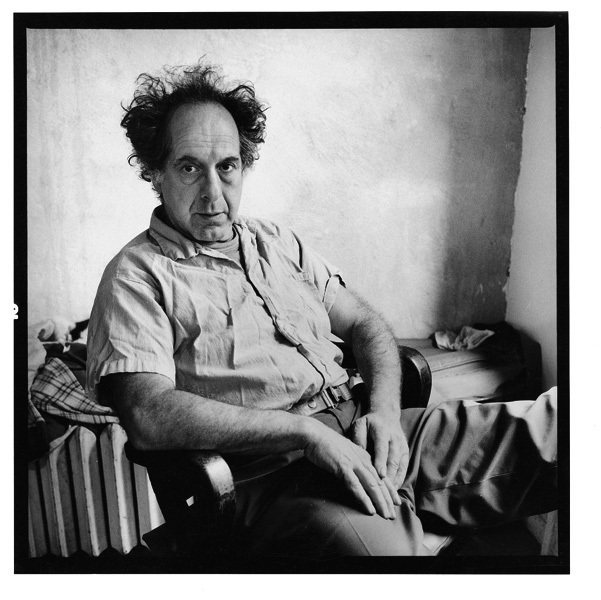 I really like Robert Frank’s earlier documentary style (and Walker Evans inspired) work, he was friends with Kerouac and Ginsberg but I *really* am a huge fan of his later, far more personal work. 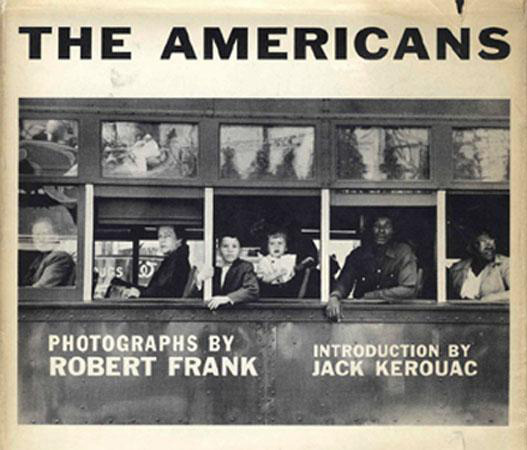 Robert Frank is a Swiss born photographer who moved to the U.S.A. after WWII. Starting out as a fashion photographer for Vogue and Harper’s Bazaar, he moved into documentary photography along the way. Frank took his family on a string of road trips over a period of two years and took thousands of photographs which lead to his classic publication ‘The Americans’. Gripped by the contrast of 1950’s optimism vs class differences and racism, Frank took gritty black & white photos that were not favorably accepted by the public at first. 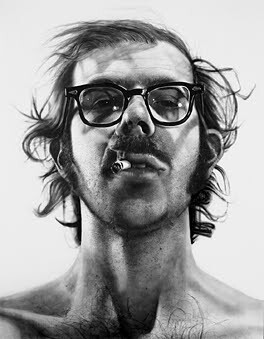 To me though, it is his later, personal work that I love best. 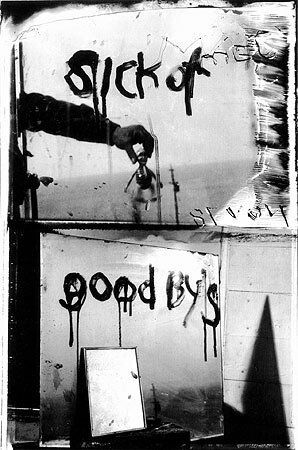 Robert Frank’s son Pablo was diagnosed with schizophrenia and later committed suicide in a mental hospital, a few years after his daughter Andrea had died in a plane crash. When you look at his later work, you feel the photos are his way of lending a voice to these feelings of dark and insurmountable loss. A way of communicating with the world, or perhaps just with himself. Perhaps, he is just trying to create order. Frank mainly shows objects, still lives or landscapes and often as composites of 2, 4 or 6 photos or with writing or scratching on it, but to me they are more personal than when he would given us a portrait. Robert Frank lives in Nova Scotia. 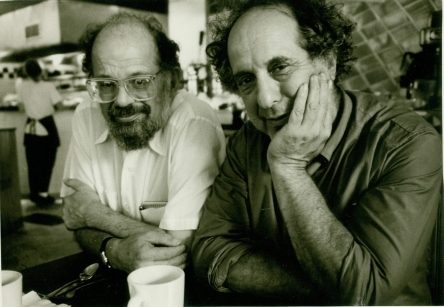 This entry was posted in exhibition, rambling, Swimming Upstream, Uncategorized and tagged allen ginsberg, art, Francis Bacon, Maastricht, Robert Frank, tefaf. Bookmark the permalink. you are awesome chick. i dont know much (actually nothing) about your topic and ive never heard of robert frank, but your post makes me want to find out more. (thanks for the shoutout, combine my interest in firearms with being a groupie, and alas, the only shooting im good at is not with a camera.) hope you feel much much much better soon. 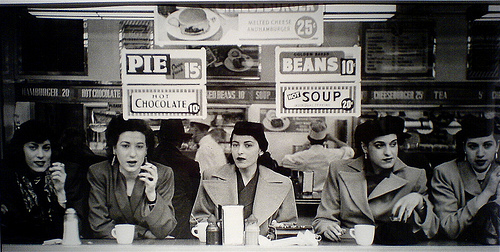 excuse me, im off to google robert frank & his work to see what else i can find out. great write-up – I shared the Elliot quote with my friends. so much creativity can come during periods of profound loss in an attempt to heal one’s soul.